Hey everyone. Today I’m going to talk to you about product from Nite-ize. I had the opportunity to try the reflective tent line kit with figure 9’s. The kit comes with four reflective guy lines and four figure 9’s. What is a figure 9? It’s a single piece of hard plastic with a hook that enables the user to wrap a piece of cord around the hook. This will result in cinching the cord tight without using knots. My first test was with a small tent. The tent has a loop on each corner (four loops) that allowed me to attached the reflective line to all four loops. I made a loop at one end of the reflective line, then attached the line to the loops using a larks head knot. From the loop I ran the line down to a tent stake, looped the line around the stake, then tightened the line using the figure 9. This method was fast and worked well to secure the tent. My next test was on a hammock tarp. For this I used a Warbonnet superfly tarp. Each end the tarp has doors. I used the same method of attaching the reflective lines to the tarp as I did on the tent. The tarp has D-rings on the corner of each door. I larks head the reflective line to reach D-ring. Then brought the line to a tent stake – using the figure 9 to tighten down the line. The video below shows how I used the reflective line and figure 9’s on the hammock tarp doors. This is just one setup of many configurations that can be used when using these lines on a hammock tarp. I like having the many options. The reflective line was easy to handle when making knots, attaching to tent loops, d-rings or stakes . I didn’t have any issues with it tangling. It glows bright when I pointed a flashlight at the lines. Nite-ize provides clear instructions & illustrations on how to setup/use product. The figure9 makes it easy to adjust & tighten as needed. Using a larks head knot to attach to the loops/D-rings – for me makes it easy to remove the line in the event I need to use the line for something different. Can be a dual use item. If in an emergency situation, at night on the road? In the woods? The rope can be used on your person (wrist, waist or backpack perhaps) so you can be noticed. With any rope eventually it will wear out. I make it a practice to inspect any guy lines regularly before using. 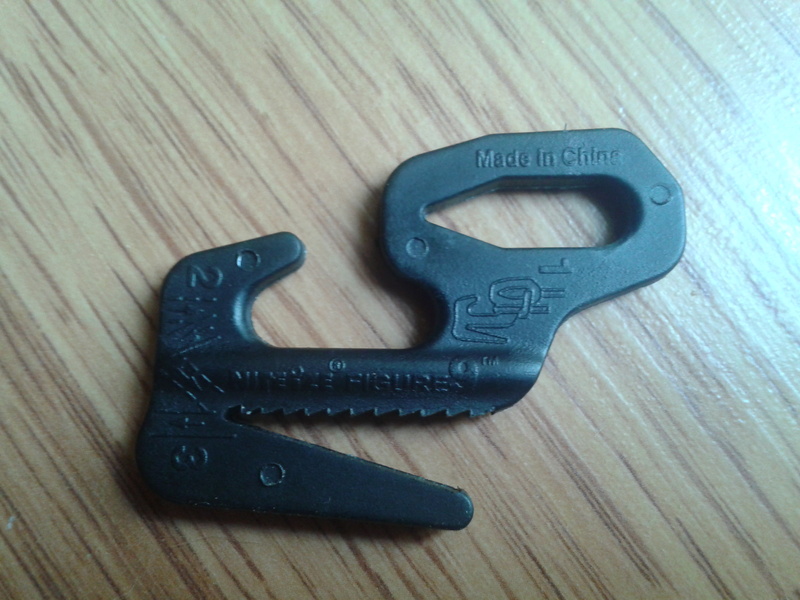 The figure9 is made from plastic. I set up this kit during warm weather so I can not comment if extreme cold weather would effect the plastic. 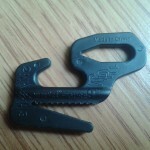 If used properly for tarp or tent guylines – my guess is these will perform fine for many many uses. If you’re looking for reflective line & looking for an easy way to setup a tarp or tent – this tent line kit has all those features. This was a fun test & I plan to continue using the tent line kit on the Warbonnet hammock tarp. Thank you for reading/watching & supporting Outdoortrailgear! 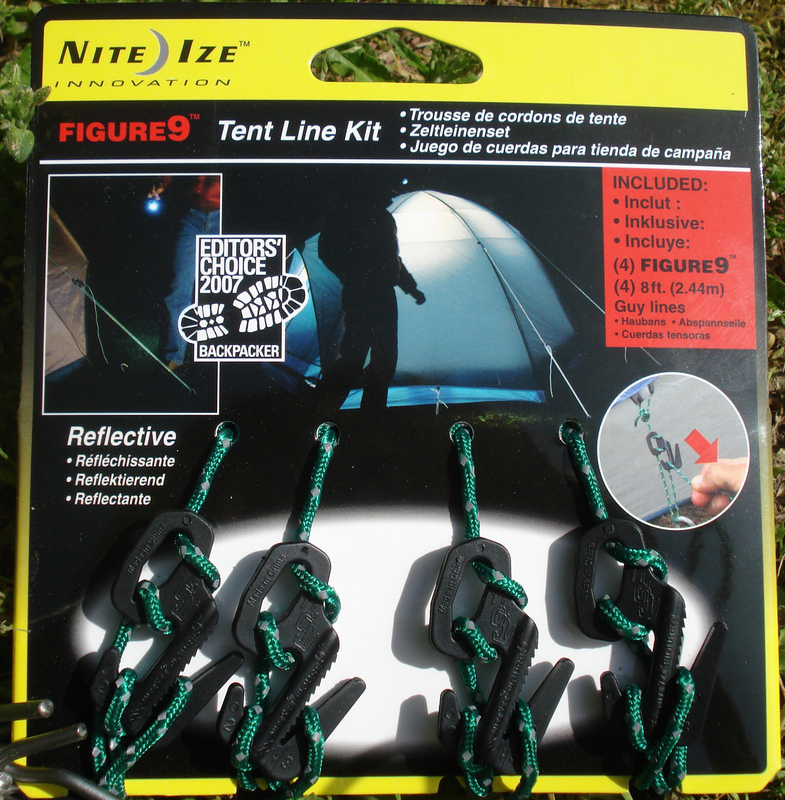 Disclosure: I received the Nite-Ize tent line kit for free from the manufacturer Nite-ize as coordinated by Versa Marketing. The article written above are my own opinions & observations I formed when using the product. Nice review, thanks. I’ve been using the Nite-Ize Figure 9’s for some time now and really like them. Fast to adjust and secure hold.